Do you feel that you have a high degree of integrity? Firstly, if you are looking into personal development, personality type, or psychological state management, you need to take a look at our free MP3 designed to 'tune' your brainwaves. To get it, click here. Have you adopted a practical/logical/realistic approach to solving problems? Do you believe in the importance of duty towards others, and especially towards your family? Do you need organization in order to function efficiently? Do things need to make sense to you (be logical) for you to understand them? Do you function better when there are rules, standards, and strict protocols? Do you think it is very important to create and uphold traditions and cultural practices? And, do you enjoy assuming responsibility for your actions? Lastly are you proud of your accomplishments, both at work and at home. If the answer to one or more of these questions is “YES,” then you probably have an ISTJ personality. Alternatively, Neurofeedback probably has the highest level of efficacy in mapping and influencing your personality, because this actually monitors, records, and trains your brainwave patterns to generate the personality characteristics that most interest you. One of the best things about you is that you rarely, if ever, make blanket assumptions about people and situations. Instead, you analyze the person and the situation, and check the facts before making assertions. This is a positive characteristic, which Neurofeedback in Washington, DC may enhance. You are not one to “jump the gun.” In other words, you know your stuff before you open your mouth. And, truth-be-told, you are a no-nonsense type of person. When you have made up your mind to do something, you use your research/facts to achieve your goals. What does the abbreviation ISTJ mean? You probably think that there aren’t that many people with this personality type because it is one of the stricter and more rigid ones, but you are wrong. In fact, approximately 13% of the general population has an ISTJ personality. Wow! There are more formal, strict people in the world than most people think! Do people with ISTJ personalities do well at work? 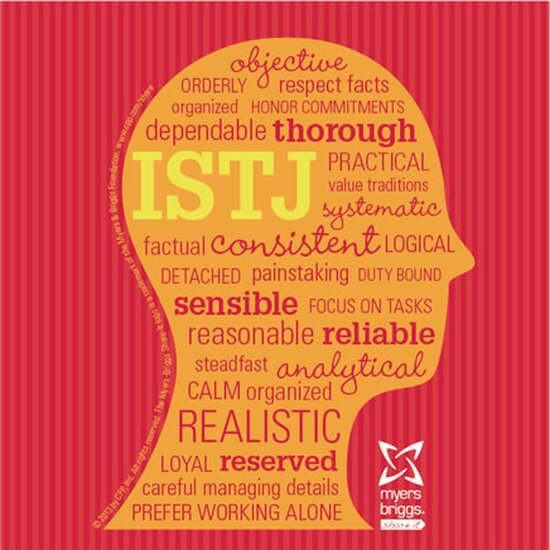 Actually, yes ISTJ personality types do quite well at work. In fact, most employers and co-workers describe them as compliant workers, who are devoted to their jobs. They are also hardworking and loyal. People with this personality type crave structure and guidance. And, they prefer employers who adhere to company rules, standards, and protocols. In addition, they have the upmost respect for their superiors and the hierarchical chain, so they tend to be “favorites” at their jobs. And, they love-love-love responsibilities, so as far as they are concerned the more tasks the better. Why do they love responsibilities so much? Well, because it gives them another chance to prove that they are indeed the best person for the job. Neurofeedback in Washington, DC may further enhance the degree to which their best qualities manifest. These individuals do quite well in leadership positions – once they get used to their new roles and complete high performance Neurofeedback training in Washington, DC. A weakness is that although ISTJ personalities crave responsibility, it is sometimes hard from them to make a complete transition from one job responsibility to another. In other words, these individuals want to do all the jobs, even if they have been promoted. Nevertheless, co-workers love ISTJs because they always take control of situations, especially the more challenging ones, and bosses love ISTJs because they are reliable – they always get their work done before or by deadline. Do people with ISTJ personalities have good relationships? Yes! ISTJs are very faithful and dependable with bodes well in romantic relationships. They also value family relationships, respect, trust, and honesty - Neurofeedback in Washington, DC serves to enhance these characteristics. In addition, they tend to be quite conservative when it comes to the definition of what constitutes a “family,” encouraging a traditional woman and man family household, who supports and maintains family traditions. ISTJs believe that the family should be the foundation in all that people say and do. They also believe that people should look to their families for guidance, honesty, and structure. And, even though, ISTJs tend to be more formal and reserved, they make good partners because of their undying commitment to their loved ones. Moreover, there is no amount of time and energy that an ISTJ will not devote to making sure that both partners are happy and satisfied in the relationship. However, neurofeedback in Washington, DC may further enhance their relationships. More specifically, people with this personality type do not favor “hook-ups,” one-night stands, or causal dating scenarios. No, not ISTJs, rather they prefer more traditional forms of dating, also referred to as “courting.” In other words, they would prefer to go to a nice dinner or play, or bowling or to the movies, than “clubbing” or hanging out at bars. Also, ISTJs tend to use logic to determine if they are compatible with their dates. If not, they have a habit of moving on – quickly. However, if a date is compatible with an ISTJ, he or she will be the best and most loyal partner imaginable. A weakness, however, is that people with this personality type sometimes have a hard time being empathetic and understanding to the needs and wants of their partners. In other words, ISTJs have to work a little harder to be receptive and sensitive to what their partners are trying to tell them. As far as friendship is concerned, ISTJs are not spontaneous. Nope, and they are not particular chatty either. In other words, they aren’t going to “play around” with their friends. It’s not that they are trying to be difficult; it’s just not in their natures. However, they are highly honest, trustworthy, loyal, fair, and reliable. ISTJs are also good about sticking with their friends through good times and bad ones. They are extremely committed to their relationships, regardless of whether or not it’s a parent/child relationship, friendship, or romantic partnership. Neurofeedback in Washington, DC may enhance these relationships, particularly during group training. As far as parenting, ISTJs are good parents, who value traditions, and who will do everything they can to make sure that their children become contributing individuals in society. They teach their children to be respectful and to think with their heads, not just with their hearts. ISTJs are supportive and loving towards their children, however, they are also strict and formal at times. In addition, they tend to expect their children to live up to their high expectations. Lastly, ISTJ parents tend to enforce a hierarchical structure, and teach their children ethical and moral standards. What types of jobs are best suited for those with ISTJ personalities? ISTJ personalities tend to do well in jobs that tout structure, so many become military officers, police officers, judges, lawyers, physicians, detectives, auditors, accountants, business administrators, financial managers, and data analysts. ISTJs prefer to work alone; however, they can also work in groups – just as long as their co-workers share their same work ethics. Do any famous people have an ISTJ personality?